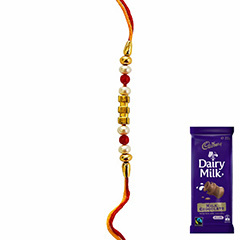 Divine Beauty!! 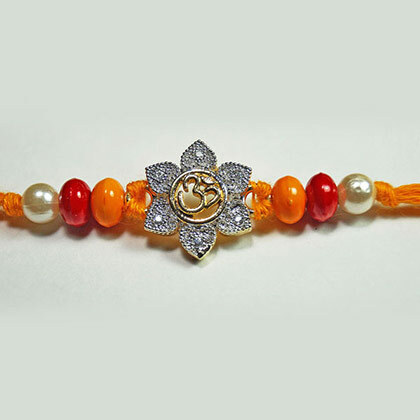 This Om Rakhi crafted beautifully with orange, red and golden color beads with a stone studded flower and Om symbol in the middle will surely give an astonishing look to your brother’s wrist who is residing in Australia. 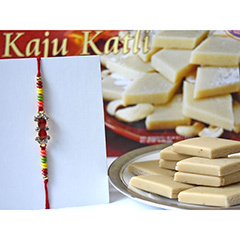 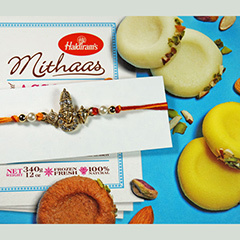 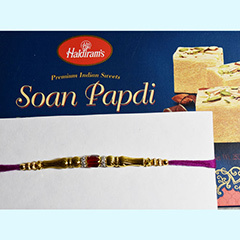 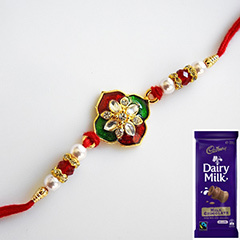 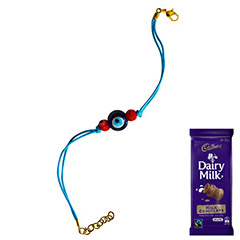 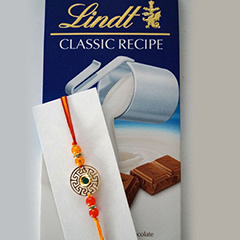 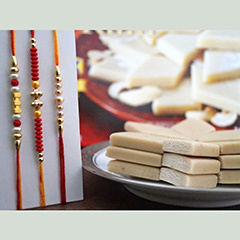 Your brother will love to flaunt this traditional and divine Rakhi on his wrist.